But What Next? Don't tell me about why, who & what ? Tell me about How To Do It? 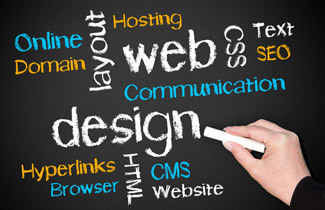 What will you promote if your website does not exist ! Great ! So far Reading Sequence suggested on KOTAK takes you through About, Why, Who Should Read & Before we begin ! Well Understood! Agreed! Convinced! But What Next? Don't tell me about why, who & what ? Tell me about How To Do It? We strongly believe - “whatever possible in offline / real world is possible in online / virtual world”. So simply put will you advertise for your Shop / Business which does not exist ? 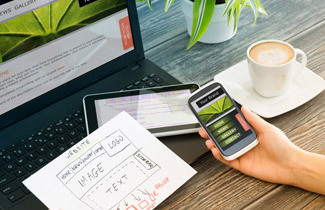 In the same way in the digital world what will you promote if your website does not exist ! Needless to say when you promote / advertise you are going to generate leads, visits, enquires about your products and services which you must attend during official working hours. In the online / virtual world your website act as enquiry counter of your shop / office which operates 24x7 – 365 days a year listing every products and services you deal with along with features, benefits, brochures and live demo in form of video if required! For a nominal cost of Rs.5500/= + a year depending on size of server space you use. Yes we are very much here to learn digital marketing, social media marketing but you need a website to promote / market and hence we say "First Step In Digital Marketing – Of course Website!" Complete Digital Marketing Plan evolve around bringing visitors to your website. What you promote in the online world is not a business but website which in turn promotes your business. Even popular channels in social media marketing like Facebook, Twitter, LinkedIn, YouTube & SlideShare attempt to attract visitors and link it back to your website. 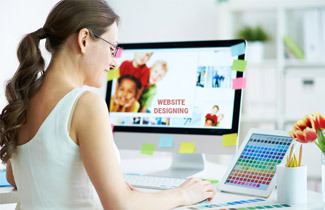 You must check following points before you start Website Designing. If site is just a corporate presence; or you want to use the same as marketing tool to general new leads from prospective client ? Based on your evaluation you will have to plan your content strategy. Ask your self question what all information you would have provided to prospective client in face to face meeting? What are the common or ( FAQs )Frequently Asked Questions you come across from majority of prospective client. 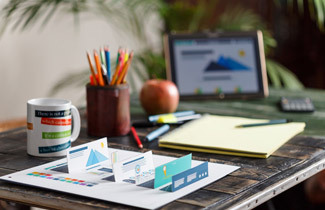 What client expect to see during your meetings, real product, Samples, photographs, videos , technical specification or demonstration on computer? Imagine a situation where in big brand announce a new launch of product by spending millions on advertisement and when client approach a store sales rep is not aware of the product! Same way when you spend heavy on digital marketing but your website is not at all reflecting what you been advertising is direct loss of money you spent on promotion. Having said that Website planning is to be done keeping in mind points discussed above. Remember website is the First Step of digital marketing and complete success of digital & social media marketing plan will depend on how well your website able to attract and hold visitors!